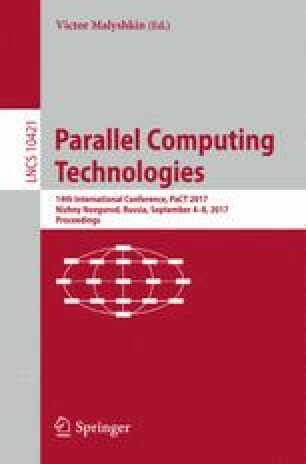 The aim of this paper is the development of the mathematical model of thermal processes in steam turbine based on the modern information technologies and computational methods, with help of which the accuracy of calculations of thermal modes. The practical significance of the paper are: the model of thermal processes in steam turbine is proposed and implemented, the information about the temperature modes of the steam turbine is derived, limits and prospects of the proposed mathematical model is defined. The thermal processes in the turbine are characterized by a strong non-uniformity of the heat flow, which has significantly influence to the reliability and efficiency of the facility. As a rule, it the influence of these parameters on the geometry is not considered in the designing of the system that results in premature wear of the machine. The developed model takes into account the complex geometry of the steam turbine, does not require the significant changes in the processing of the design features and can be used to calculate the thermal processes other construction such as turbines. Software solution was developed for two-dimensional simulation of thermal processes in steam turbine that takes into account the occupancy control volumes. The paper is performed under an agreement with the Ministry of Education and Science of the Russian Federation No. 14.579.21.0123 about the granting subsidies from 10.27.2015. The theme: The development of high-efficiently steam turbine technology for processing liquid and solid organic wastes in the energy production for the small-scale distributed energy, the federal target program Research and development in priority areas of Russian scientific and technological complex for 2014–2020. The unique identifier of the applied scientific researches (project) RFMEFI57915X0123.